In our modern day where there are new technologies and innovations that are popping up overnight, individuals are fortunate to have a variety of ways to track their fitness goals and eating habits. One of the most popular and in demand ways that individuals are starting to use to track such fitness/health activities is thru mobile applications; in fact, when going onto a mobile application marketplace (such as Apple’s iTunes Marketplace, Google’s Android Application Marketplace, RIM’s Blackberry App World Marketplace), an individual has hundreds of different exercise/fitness routines, food intake charts/plans, health statistics and so forth which can assist an individual better track their overall health and well-being. So why should one use a mobile app to better track their fitness/health goals/accomplishments? Well for those individuals who are serious about tracking their fitness/health routines and food intake, these specific mobile applications targeted for fitness/health can be essential. It can aid in keeping users motivated by following their plan and these mobile applications also allow users to track information as they happen rather then having to wait until they get onto a computer. 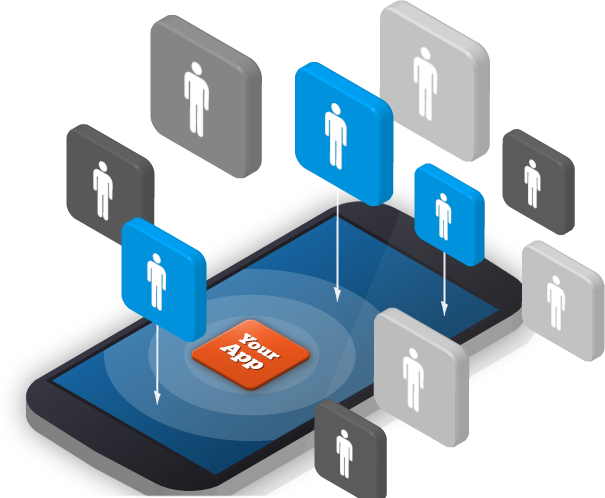 One company which has done a tremendous job developing such a mobile application is a company called SparkPeople. SparkPeople hosts a very well-known health and fitness tracking website and they recently rolled out with their first mobile application for those individuals always on the go. There are two options for individuals who want to access SparkPeople’s Health and Fitness tracking system; from their Smartphone device they can either go onto their web browser, log in through Mobile.SparkPeople.com or they can download the mobile application for their specific Smartphone device. The mobile app will allow users to track their exercise/food intake and even has a list of restaurant menu items with their nutritional information. Users also have the option of looking up some more health recipes to cook up rather than unhealthy foods. SparkPeople’s mobile application is compatible for Apple’s iPhone/iPad/iTouch as well as Google’s Android and RIM’S Blackberry Smartphones. For those individuals who do not have those specific Smartphone devices and use other devices such as the Windows Mobile 7, they can access SparkPeople by simply accessing it using a web-centric browser. There are many other mobile application development firms who also have developed mobile applications which are tailored to health and fitness. For example, a company known as The Endomondo has developed a mobile app for the Blackberry, iPhone, Android and other Smartphone devices which track how long an individual has been running for, where they have run, how many calories they have burned and so forth. MyFitnessPal also recently developed a mobile application called MyFitnessPal which tracks an individual’s food intake and also has a large database of various food recipes which one can pull from. Regardless of what mobile application one decides to use, individuals are definitely on the right track by taking steps forward and downloading specific health & fitness mobile applications onto their Smartphone devices to ensure they are consistently up-to-date and informed on their health & fitness goals. Mobile Applications are changed the way individuals conduct simple daily activities and as we head into the future, that trend is only expected to grow more as the popularity and demand for mobile applications rise with each passing day.